The Kerdi-Drain Kit includes a floor drain with an integrated bonding flange, tileable grate, waterproof corners, pipe seal (3/4 in.) and mixing valve seal. The drain is ideal for mortar bed and Kerdi-Shower-ST shower tray applications. Kerdi-Drain can be used in both commercial and residential applications. Inspired by the delicate scallops of a seashell, Addison brings a fresh new look to the bath. Multiple finish options add to its appeal and design suitability. Available in a full suite of products to provide a coordinated look. Just like ocean waves, the one-piece curved handles and sleek spout of Lahara(R) make a lasting impression. Getting ready in the morning is far from routine when you are surrounded by a bath that reflects your personal style. 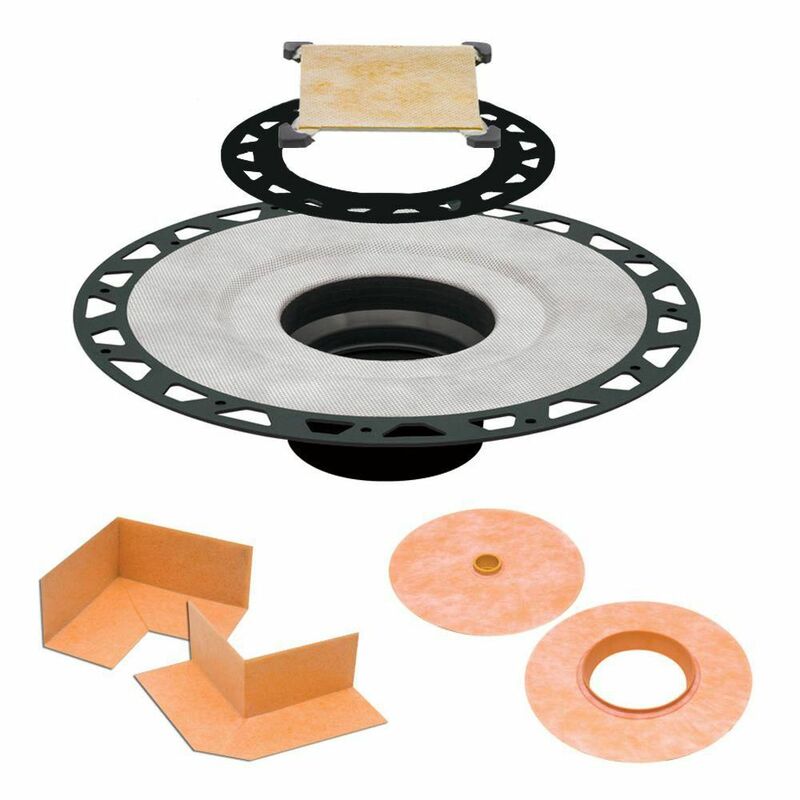 Kerdi-Drain Tileable Grate ABS Drain Kit The Kerdi-Drain Kit includes a floor drain with an integrated bonding flange, tileable grate, waterproof corners, pipe seal (3/4 in.) and mixing valve seal. The drain is ideal for mortar bed and Kerdi-Shower-ST shower tray applications. Kerdi-Drain can be used in both commercial and residential applications. Kerdi-Drain Tileable Grate ABS Drain Kit is rated 3.0 out of 5 by 1. Rated 3 out of 5 by Jcel1988 from 1st time tileable drain We have used this system for more than 20 years, I purchased the tilelable version by mistake. It may work well with large tile. with small tile a cut will be required around 4 sides, inside and out. The tiling and grouting insert provided with the drain tends to pull the grout off when removed, I would use the SS drain on my next shower!